Glitche – vCard & Resume WordPress Theme — minimal online vcard & resume WordPress Theme. Fully Customizable and Responsive. 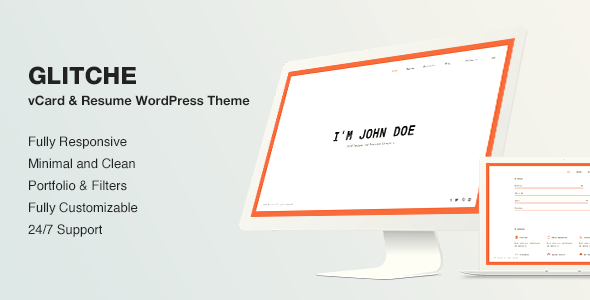 You can use this theme for: personal portfolio, freelancer, photographer, painter portfolio, artworks, art, artist portfolio, web design works, illustrators, designer.